but I do believe my daughter will love it when she sees it for the first time tomorrow morning. I have been spending a lot of time recently in our basement recently. 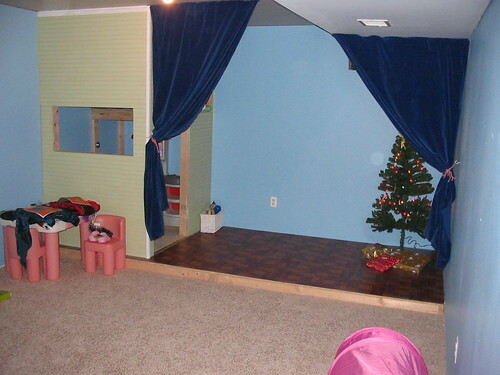 My wife and I decided instead of going and spending a ton of money on Christmas gifts we would finish our basement (I think the gifts would have cost less :) ) But anyway we now have a place for our daughter to play and we can move a lot of stuff out of our upstairs living room. 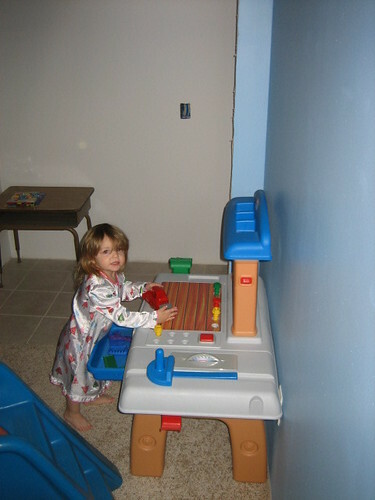 We just finished setting the room up for her to see it in the morning. This is what the place looked like about a month ago…. I still have some work that will need to be done over the next couple of weeks including building a ladder to get into the loft (anyone has any ideas on the best way to build a kid friendly ladder I am open for suggestions) . I am doing this as a blog since there is still more work to b done, I will post the final outcome here and probably over at HR as well. Hi Chris, Merry Christmas. 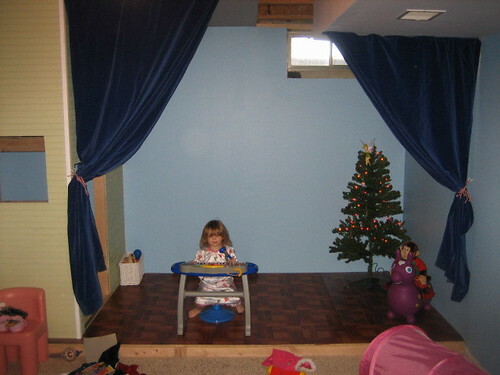 I am sure your daughter will love the stage where she can put on productions for you and your wife. My daughter loves to do that. I would look at something similar to what is used for bunk beds when it comes to making the ladder. I am no expert in this area but that should be a good place to start. Merry Christmas to you and yours. May the next year bring you all Peace and Joy. 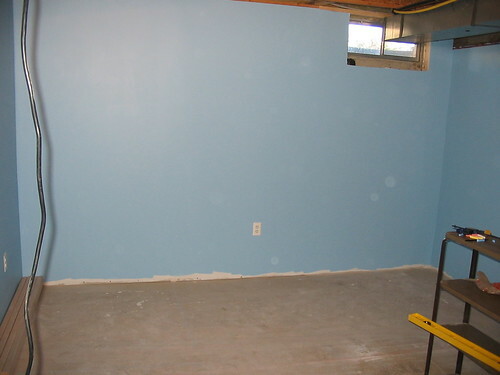 A very wise decision to renovate your basement. That will bring more lasting happiness than the gifts. Your daughter and all of you are going to enjoy this change. I am sure you will get good advice from experts about the ladder. Safety should be the main criteria. Happy christmas. this is wonderful. She’s going to love it; love it; love it. Thanks All. She loves it. I am looking forward to doing some additional finishing work on it this week and then getting started in on my office. We were even treated to a concert on her new keyboard..
Oh and I almost forgot she also got her own workshop..
Hope everyone had a good holiday. Happy New Year.